4 out of 5 local authorities (81%) are failing to plan and fund care for children and young people with life-shortening conditions. Local authorities have a legal duty to provide short breaks for disabled children, including those with life-shortening conditions, yet around 1 in 7 (14%) are failing to commission these services. Despite government guidance, 7 (4%) clinical commissioning groups refuse to commission children's hospices to provide care because they are charities. A new interactive map and rating system allows the public to see how their local authority and clinical commissioning group is performing. The majority of children in England with life-shortening conditions, and their families, are being shortchanged or ignored, a survey by UK children's charity Together for Short Lives has found. There are 40,000 children and young people with life-shortening conditions in England, and the number is rising. Many of these children have conditions that are complex and unpredictable and need specialist children’s palliative care. Together for Short Lives is calling on the government and commissioners to work with them to address this shortfall and better plan and fund vital services for these seriously ill children, young people and their families. The findings have been uncovered by Together for Short Lives following a series of freedom of information (FOI) requests which the charity made to local authorities and NHS clinical commissioning groups (CCGs) in England during April 2016. The FOIs sought to establish how well these organisations are planning, funding and monitoring (a process known as ‘commissioning’) care for children with life-shortening conditions. Together for Short Lives has rated the councils and CCGs by the different aspects of care needed by children with life-shortening conditions, including end of life care, short breaks and bereavement care. The ratings also take into account whether they commission vital local services for these children, including community children's nurses, children's hospices and specialist medical care. For the first time, the public can see how their local councils and CCGs are performing using an interactive online map, available here. A staggering 4 in 5 councils (81%) are failing to plan and fund palliative care for children and young people. Nearly half (49%) have received the charity's zero or one-star rating for children's palliative care. Only 10 (7%) achieved the maximum of five stars. Local authorities have a legal duty to provide short breaks for disabled children yet still around 1 in 7 (14%) are failing to commission these services. More than a quarter of CCGs (27%) are failing to commission community children's nursing out of hours, meaning that too many children with life-shortening conditions may have to be admitted to hospital if their health deteriorates during evenings and weekends – placing further unnecessary cost and burden on hospitals and families. Nearly 1 in 5 (17%) of CCGs do not commission children’s hospices. 7 CCGs (4%) refuse to commission children's hospices to provide care because they are charities – despite the government and NHS England emphasising the important role of charities generally in providing health and social care services. Local authorities and CCGs have been legally obliged to jointly commission services for children with special educational needs and disabilities (SEND), including those with life-shortening conditions, since the introduction of the Children and Families Act 2014. Alarmingly, there appears to be a responsibility vacuum with a number of CCGs confused about what they should be doing to support care for children with life-shortening conditions. 6 (4%) wrongly say that only NHS England is the commissioning body for all children's palliative care. 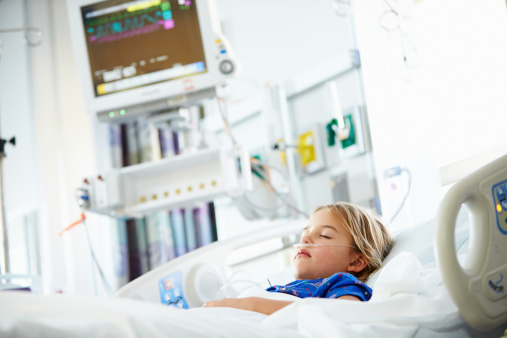 “These findings show that, despite some good examples, the overall approach to children’s palliative care is at best inconsistent and at worst typified by ignorance. It’s a postcode lottery, with many children and young people being denied the support they need. “We already know that children’s hospices in England receive on average only 10% of their funding through CCGs, far less than the 30% adult hospices receive. Yet children’s hospice services provide vital lifeline care that saves the NHS millions. You can access a full report of Together for Short Lives’ findings here. This includes all the questions CCGs and local authorities were asked as an appendix. You can access the spreadsheets which were used to analyse the findings from the CCG FOIs here and the local authority FOIs here.